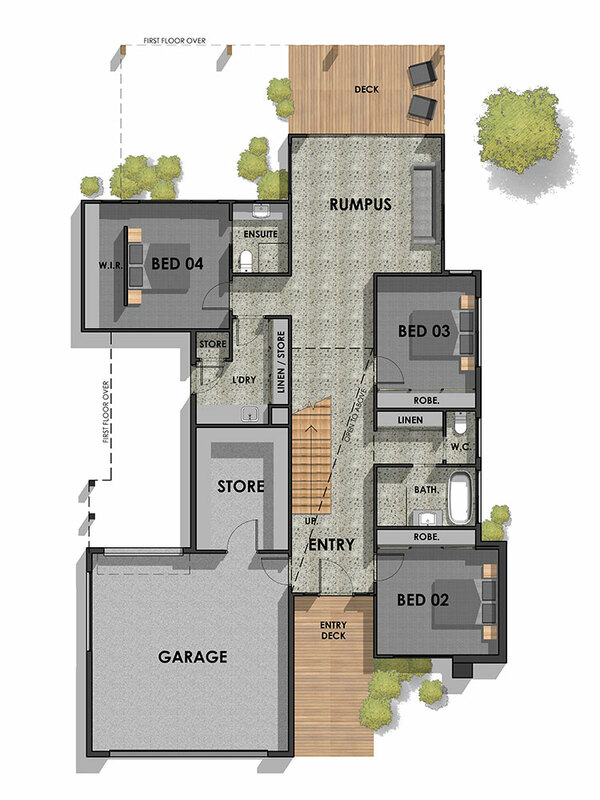 Entering the front door, you are met with the imposing double height void and feature open tread staircase that leads you up to the first level open plan living zone. 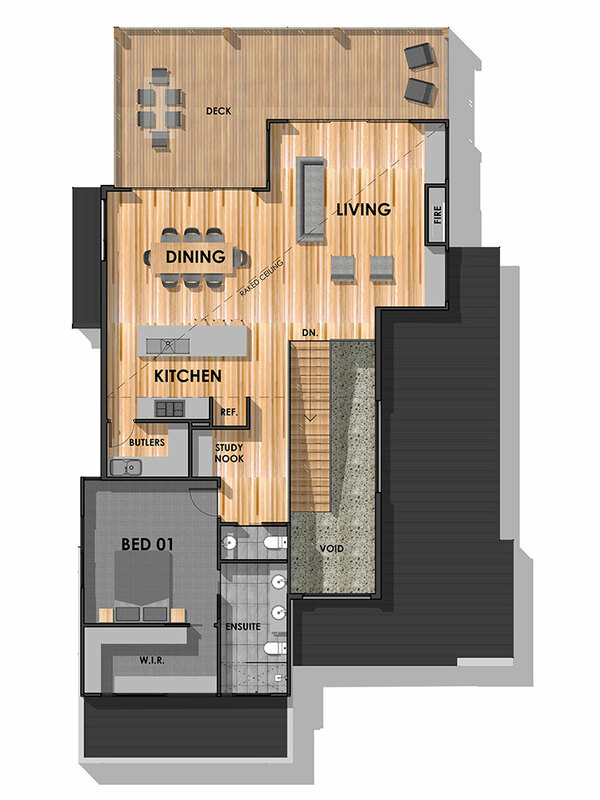 Ground level is appointed with three generous bedrooms and rumpus which opens on to the rear deck. At first level, you are met with open plan living featuring a raised ceiling with highlight glazing, creating a spacious, comfortable and light filled space leading on to the large deck which is perfect for entertaining.